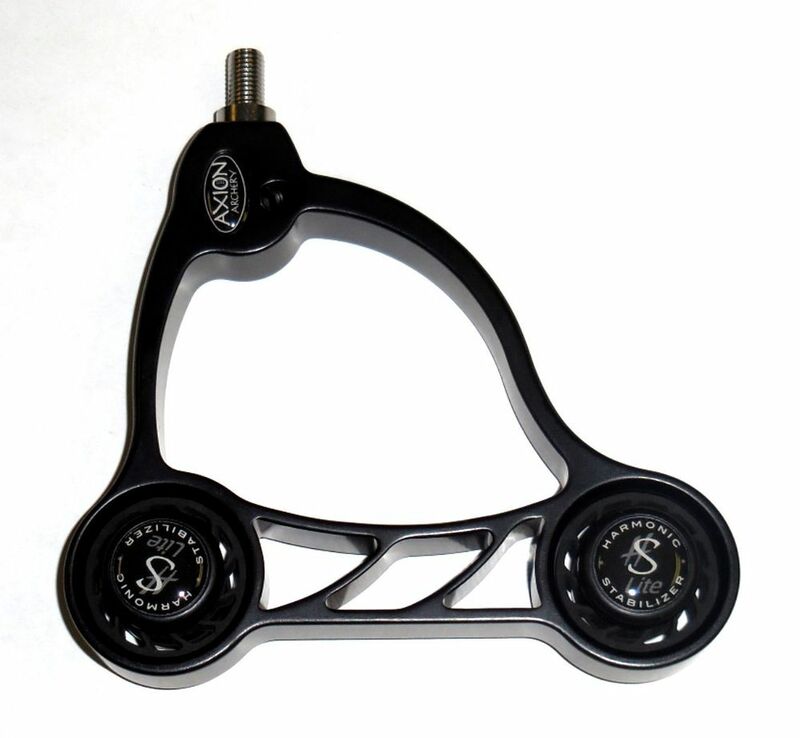 Home :: Stabilizers :: Axion 2N1 HTR Stabilizer black w/Harmonic Dampeners 6.5 oz. Axion 2N1 HTR Stabilizer black w/Harmonic Dampeners 6.5 oz. The new Axion “2N1” HTR Stabilizer is a new direction in stabilization. This is the perfect stabilizer for the archer that requires a lot of stabilizer in a small package. The engineers at Axion Archery placed a vertical damper below the center of gravity making this stabilizer shoot like a 6” long stabilizer while maintaining a low 4” profile with amazing results and you do not have to remove the stabilizer from your bow for storage. The 7oz stabilizer with dual dampening system shoots great & the innovative carrying handle proves Axion Archery is a leader in the industry and really does have a Handle on the competition.